When I posted last time I mentioned that we spend most of our weekends walking and cycling. I also realised that there is not that much in this blog about our adventures on bikes. Here is the reason for this: I don't have enough photos to illustrate our trips :) Each time when riding I see a good spot to take a photo, I have to 1) stop 2) get off from the bike 3) take a camera 4) switch it on 5) focus 6) take a picture 7) put the camera back 8) hop on the bike 9) ride as fast as I can to get back to the main group. Sounds annoying? Yes, it is. In fact, it takes a LOT of time, and I hate to keep my friends waiting for me on literally every corner. 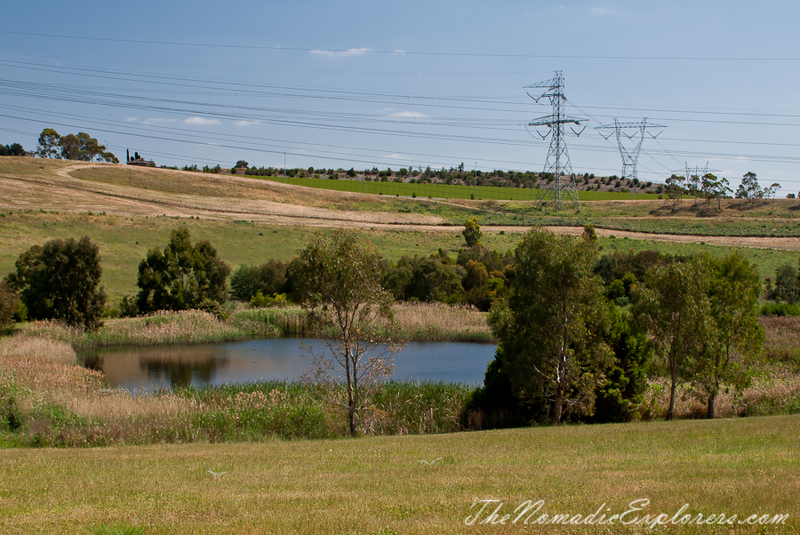 So even if I take my camera with me, I rare use it. 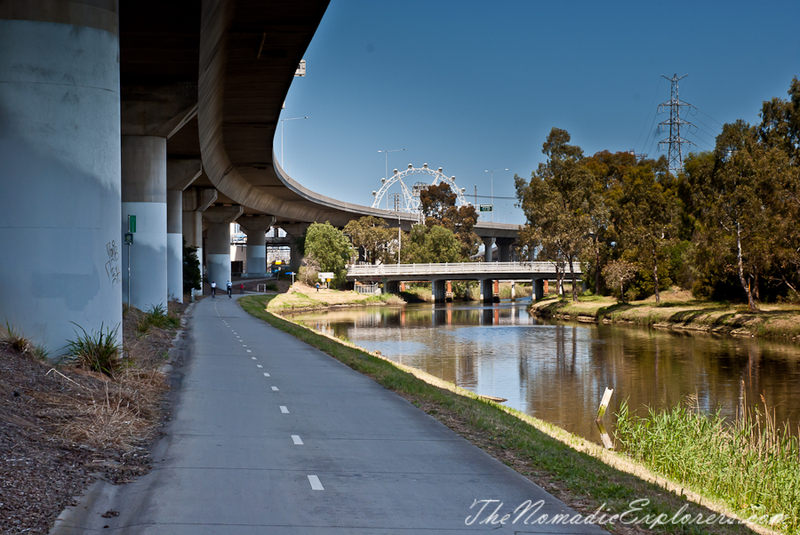 As a result, even if have cycled most of bike trails around Melbourne, I have only two or three posts about them. Anyway, it is time to change things a little bit, so in a few weeks I'll post some more about our rides. 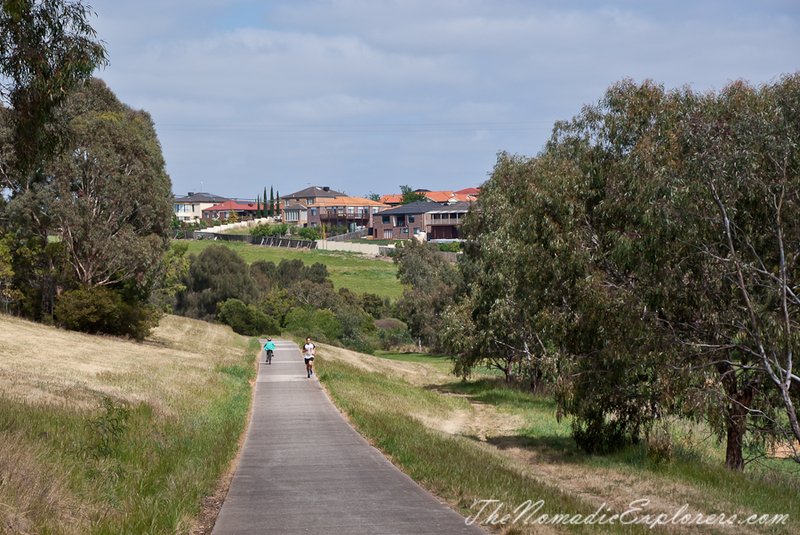 Last Saturday we cycled from Roxburg Park to City via Broadmeadows Valley, Moonee Ponds and Capital City Trails. 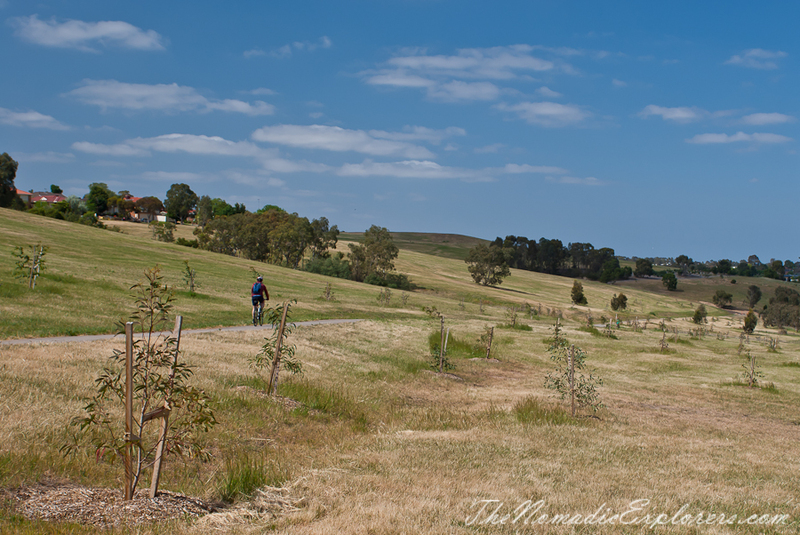 The 33kms downhill ride is relatively easy and can be done with kids. We started at Roxburg Park. 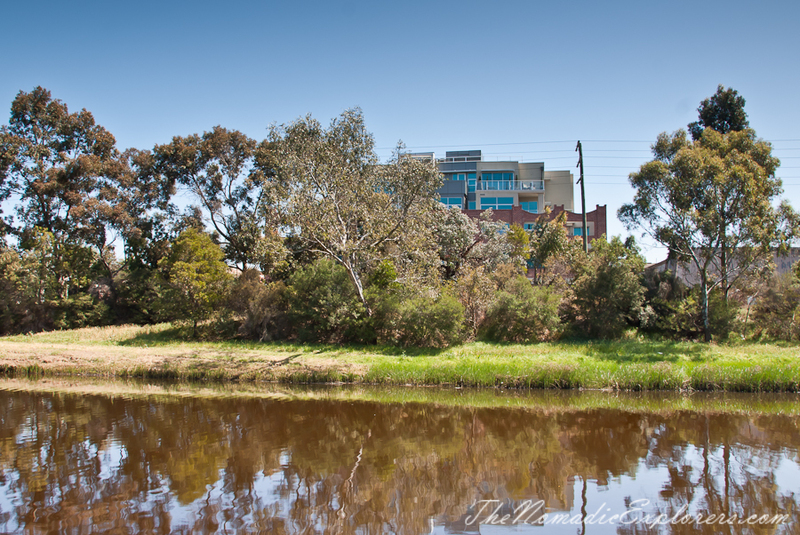 If you look at the Google Map, you will find that you can actually start from Craigieburn railway station at the intersection of Stockton Street and Aitken Creek close to the station). 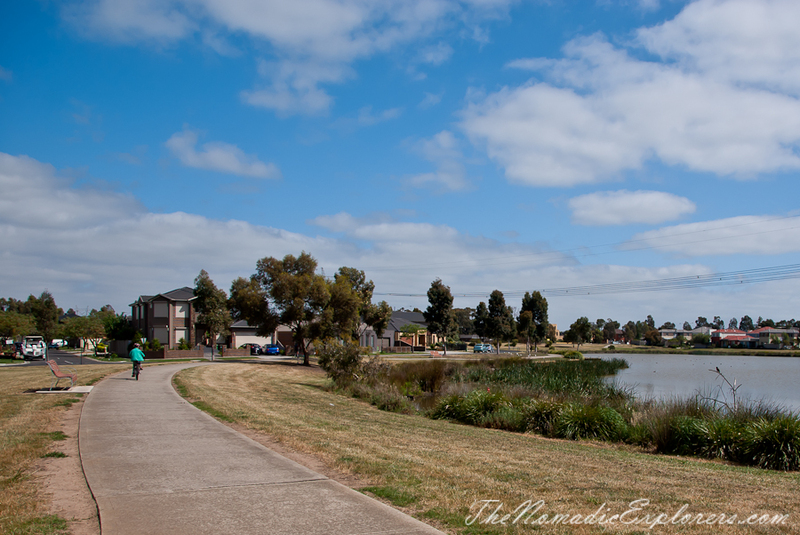 The path winds round wetlands, then runs between some contemporary terrace like houses. The path surface is smooth concrete which makes for easy riding, and as the path follows the valley floor, you are often protected from winds affecting the hills and houses above. 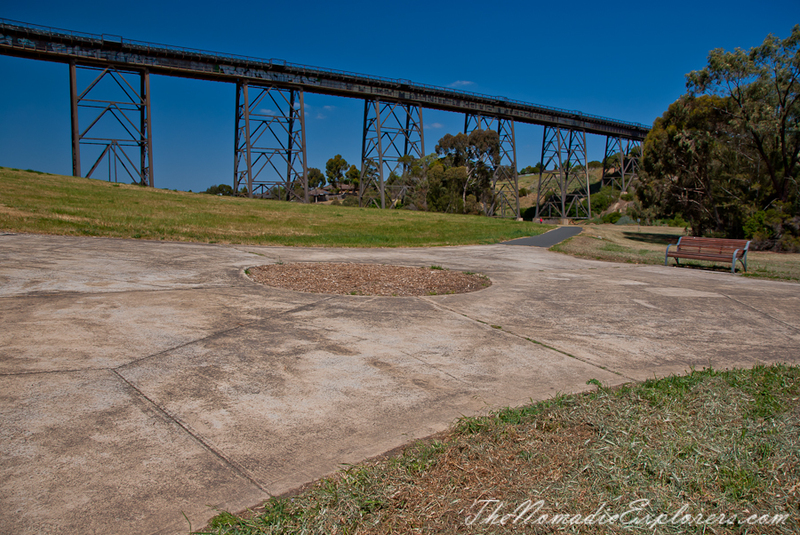 Passing by a couple of ovals on the left, the path reaches a footbridge about 0.4 km from Barry Rd. 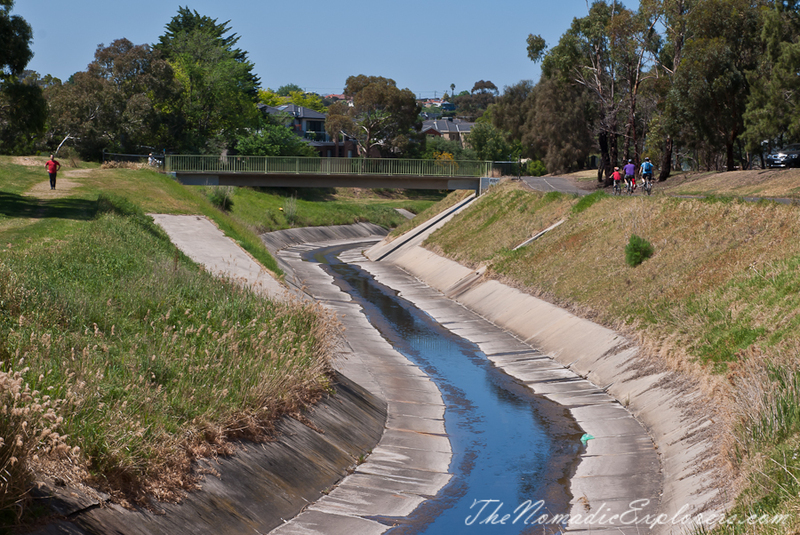 Cross the bridge and arrive at the Moonee Ponds Creek Trail. 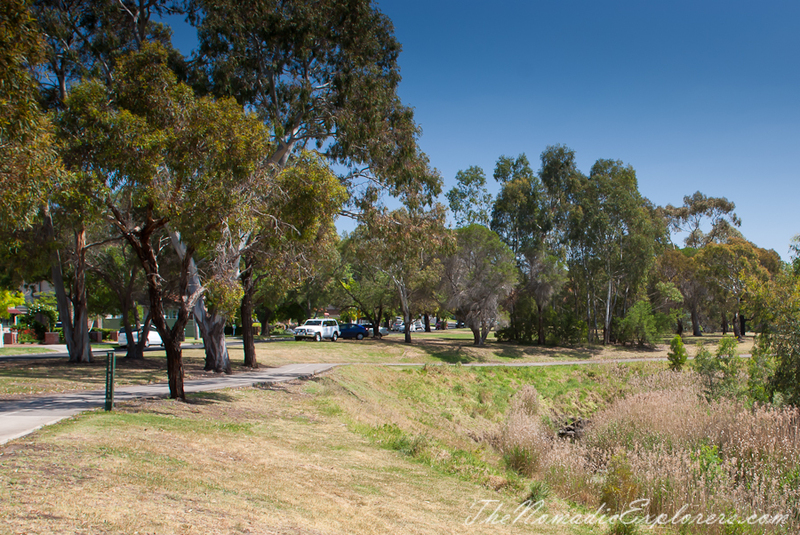 The trail follows the creek. Passing under the large trestle bridge in Gowanbrae, the trail soon arrives at the Western Ring Road and the Western Ring Road Trail. 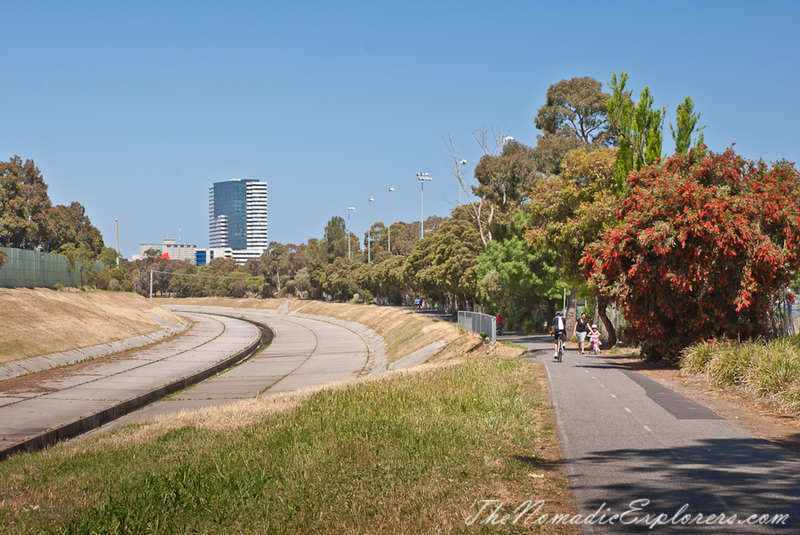 The trail then is snaking under and around the Tullamarine Freeway for many kilometres, until it joins Capital City Trail - one of the easiest and, therefore, busy trail around Melbourne. 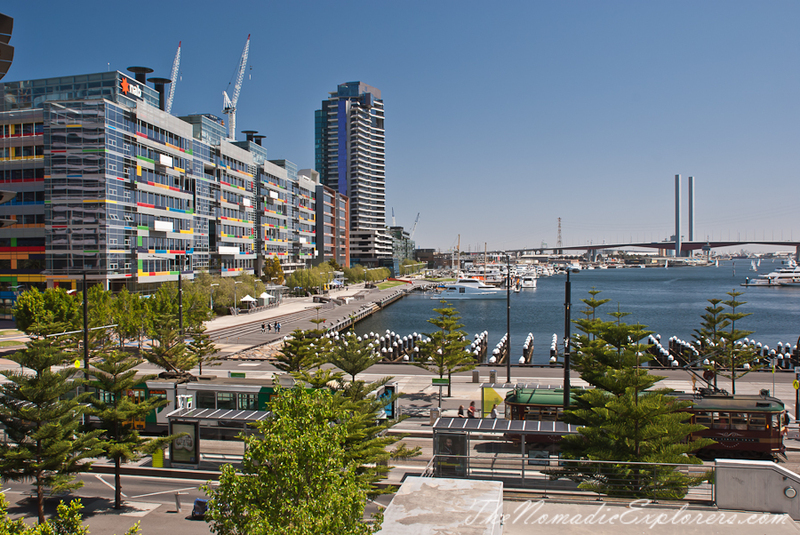 As for us, we went to the Southern Cross station to get back home by 3pm. Perfect weekend ride! Please note there is little shade or water as you go along, so come prepared. 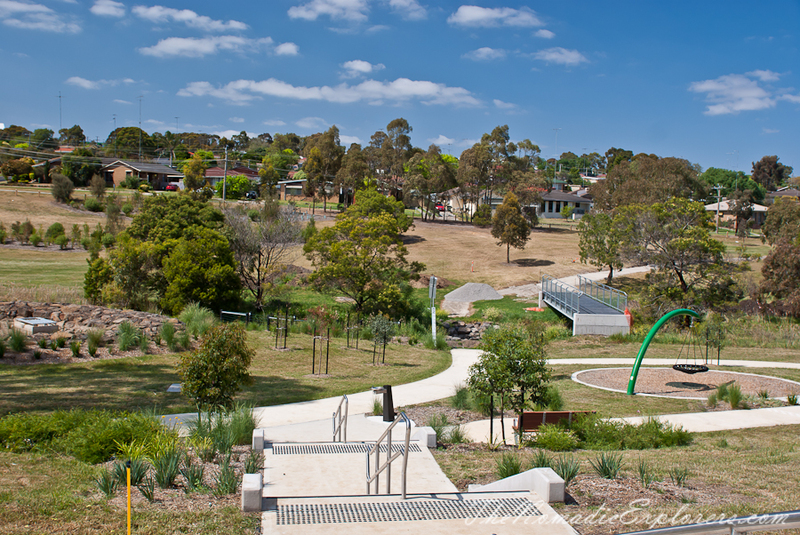 This trail itself has great destinations to make it an excellent weekend recreation or commuter route. It is hard to get lost on the trail, as the way follows the creek most of the time. 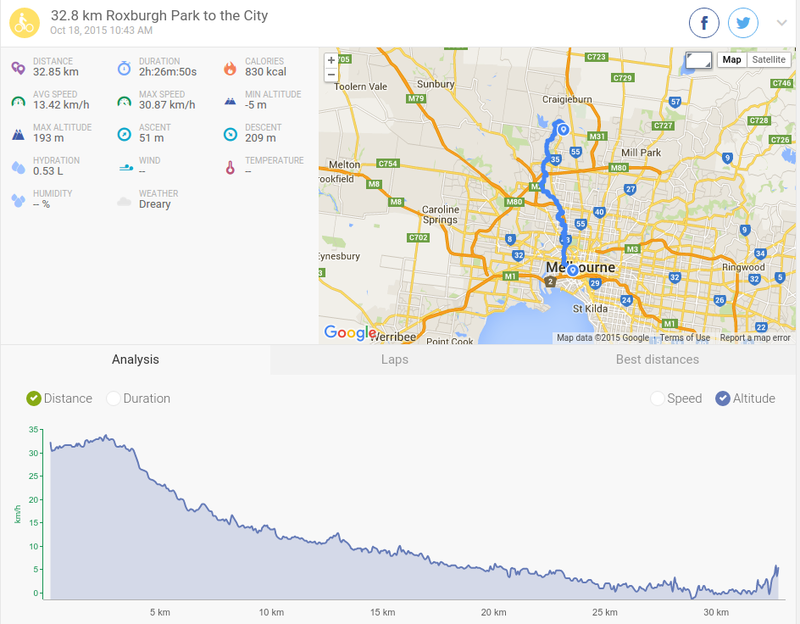 If in doubt - check Google Map, it has a special layer with cycling paths on it.